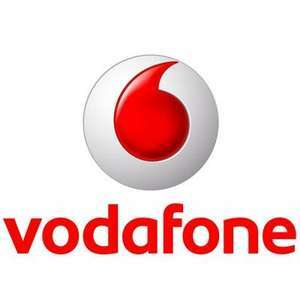 Vodafone is offering a free service for all it's Vodafone customers who have purchased a phone through them that is locked to their network to unlock their mobile phone completely free of charge! You need to be a Vodafone customer and your phone has to be registered in your name, this might also work on phones which have expired contracts as they did confirm it will work but my phone itself was within the contract period. You need your phones IMEI number which you can get by typing *#06# on your phone which you want unlocked, you will then be presented with a bunch of numbers, write this down, now you need to call Vodafone customer services on 191 and request for your phone to be unlocked, make sure you explain that you are a customer and that you have a contract/had a contract and want it unlocked, they will ask you for your IMEI number, give it to them. I've just unlocked my iPhone 4 and it works perfectly on Tesco Mobile & T-Mobile! Enjoy this offer Guys! Don't doubt the offer, just can't see what the benefit to them is - do they want you to buy another handet off them and give the old one (which, presumably you've already pai for) to the kids? always been free whilst in contract, chargeable otherwise. same with o2, I've used both. nothing new here but at least it brings it to the attention of people who don't know about it. Vodafone unlocked my Tesco/O2 locked iPhone last year. Any ideas if this will work for business contract phones too? always been free whilst in contract, chargeable otherwise. same with o2, … always been free whilst in contract, chargeable otherwise. same with o2, I've used both. nothing new here but at least it brings it to the attention of people who don't know about it. Not true, it used to be exactly the opposite: They'd charge while in contract but do it for free once out of contract. Actually I am rather surprised that has changed. Not true, it used to be exactly the opposite: They'd charge while in … Not true, it used to be exactly the opposite: They'd charge while in contract but do it for free once out of contract. Actually I am rather surprised that has changed. It's now free whilst in a contract but i think there is a minimum term and it is also free when out of a contract, Vodafone is offering all their old customers this service as i think all the new handsets come unlocked. my brother recently bought a iphone 4 locked to vodafone on ebay this was never stated in the listing tho. no one in my family is on vodafone. Do you think he will be able to get it unlocked by ringing up without knowing the original contract owners name?or by not being a vodafone customer? I did this through their online chat thingy... before any offer like this. I wonder if they will allow a Vodafone iPhone 5 to be unlocked? So the title should reflect this is just for people on a contract with vodafone. Which is a said situation to be in. I hate Vodafone. I had a phone returned to them as faulty and no refund from them in 6 months. In the end, I wrote to Moneywise who contacted them and finally got my money back. Hi guys, has anyone who brought an iphone 4 locked on vodafone from ebay get it unlocked using this service? As I have read that only the original owner/ person who took the contract out can actually unlock the phone. Not sure about payasyougo. Does this also work for other companies? Hi guys, has anyone who brought an iphone 4 locked on vodafone from ebay … Hi guys, has anyone who brought an iphone 4 locked on vodafone from ebay get it unlocked using this service? As I have read that only the original owner/ person who took the contract out can actually unlock the phone. Not sure about payasyougo. Subject to some minimum term, I think 2 months, maybe 6 months for iPhones. I'm sure there's some wicked evil EU mandate behind all this. Where's UKIP when you need 'em, eh? Sometimes, see my previous post for the reason why. T-Mobile - £15.32 - … T-Mobile - £15.32 - http://service.o2.co.uk/IQ/SRVS/CGI-BIN/WEBCGI.EXE?New,Kb=Companion,question=ref(User):str(Mobile),CASE=ref(unlockmymobile). T-mobile link, links to O2? i can confirm vodafone has just sent an unlock request for me free of charge. I am 11 months intpo contract but i brought the iphone 4 s from them. i hung around the contact us for 5 minutes and then got presented with live chat. Tried that but can't see anywhere if it's actually locked or unlocked?? Had mine unlocked within 4 days of receiving the handset. Anyone know if there are any unlock codes for a tmobile vivacity? Yes.Had mine unlocked within 4 days of receiving the handset. Vodafone will unlock contract phones for free all the time (their Android ones on contract are already unlocked anyway) since you've gotta keep paying the contract anyway so who cares? PAYG phones are £20, unless you've had it for more than 12 months, then it's free. PAYG Android phones are locked, unless they have to sell a contract one as a PAYG one, in which case it's unlocked. Sometimes, see my previous post for the reason why.MVNOs will vary. Many thanks for your informative reply, Juux. Sorry for being ignorant but are MVNOs? Since when were O2 iPhones ever locked to O2? Certainly the original one and the 3G one were never locked to O2. There really isn't much point in locking them to a network as contract customers have to pay the full contract term regardless. PAYG is a little different in that the network want to keep you but as you pay the full cost of the handset upfront on PAYG then they aren't really losing anything. Re Orange: Providing you meet the criteria to have your handset unlocked then it’ll cost you a one off fee of £20.42 (inc. VAT), this is an administration fee. Many thanks for your informative reply, Juux. Sorry for being ignorant … Many thanks for your informative reply, Juux. Sorry for being ignorant but are MVNOs? Sorry, commenting is no longer available on this deal.